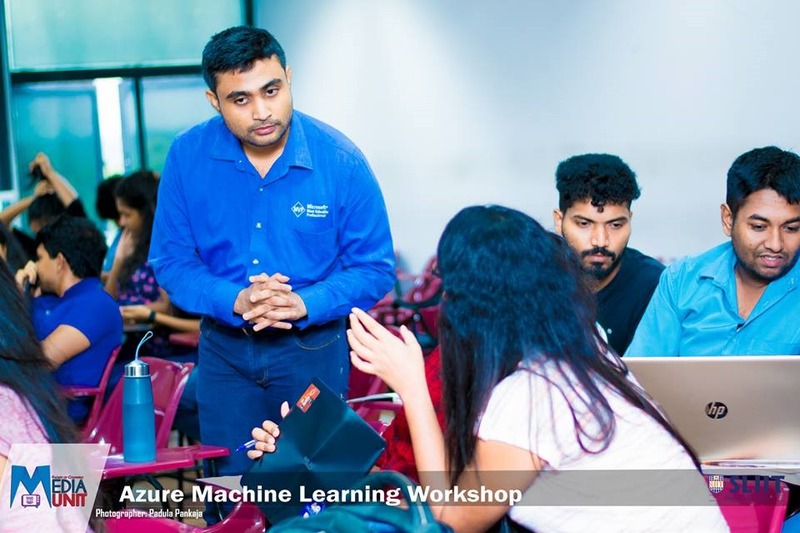 GLOBAL AZURE BOOTCAMP 2019 , Kuala Lumpur , Malaysia. 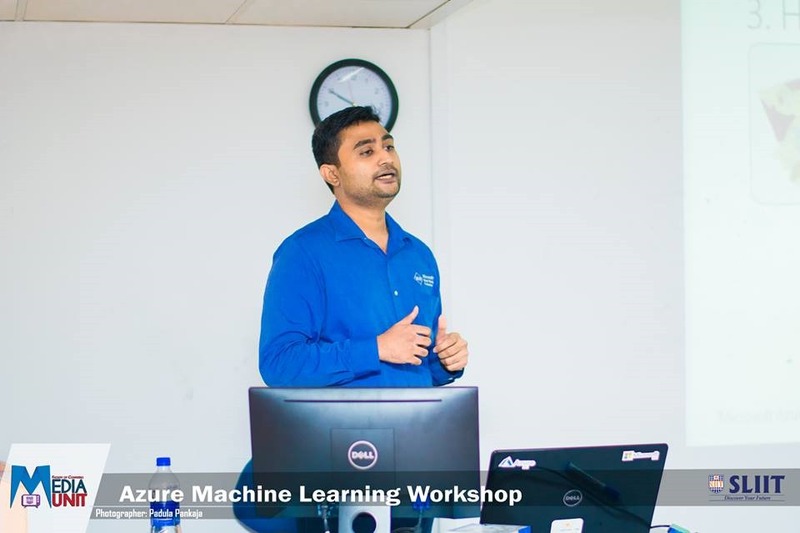 Windows Communication Foundation (WCF) training at Bank of Ceylon (BOC). 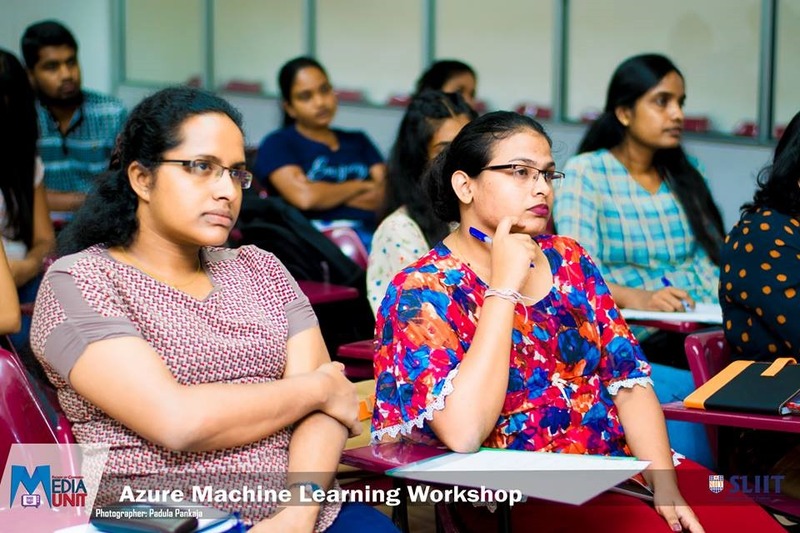 Azure Machine Learning Workshop at Sri Lanka Institute of Information Technology (SLIIT). 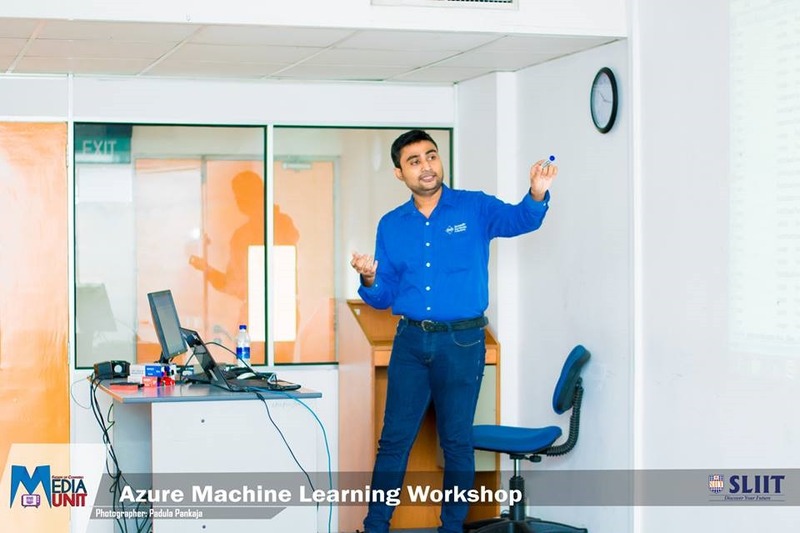 Recently I had conducted Machine Learning and AI workshop at Sri Lanka Institute of Information Technology (SLIIT). 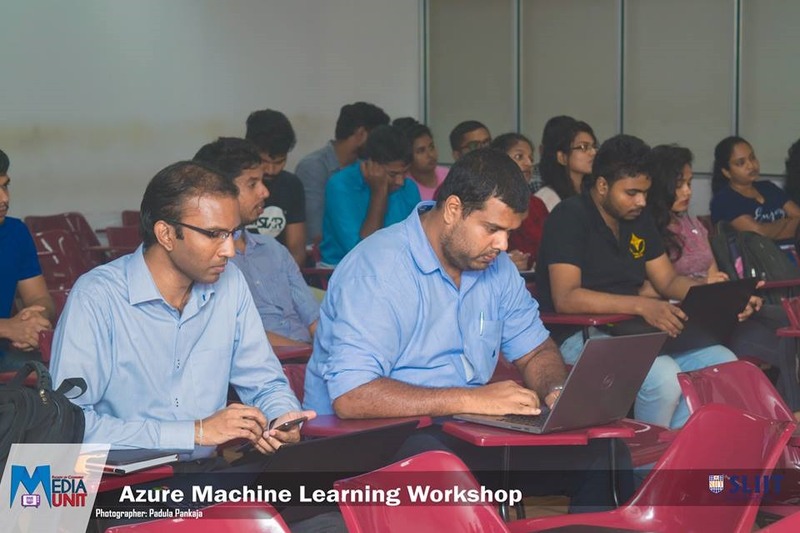 Around 40 attended the workshop.SLIIT Students and Academic staff attended the workshop. 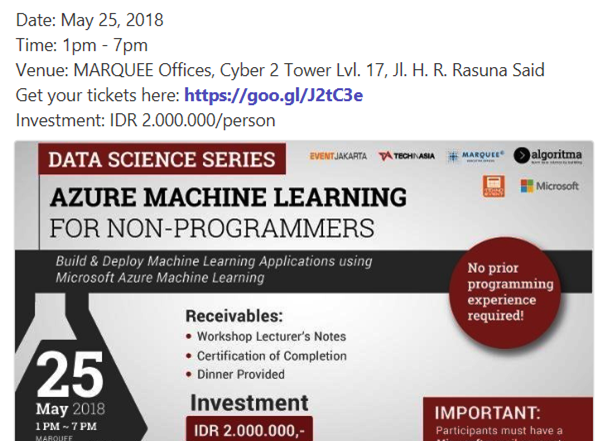 Azure Machine Learning Data Science workshop at Jakarta, Indonesia. 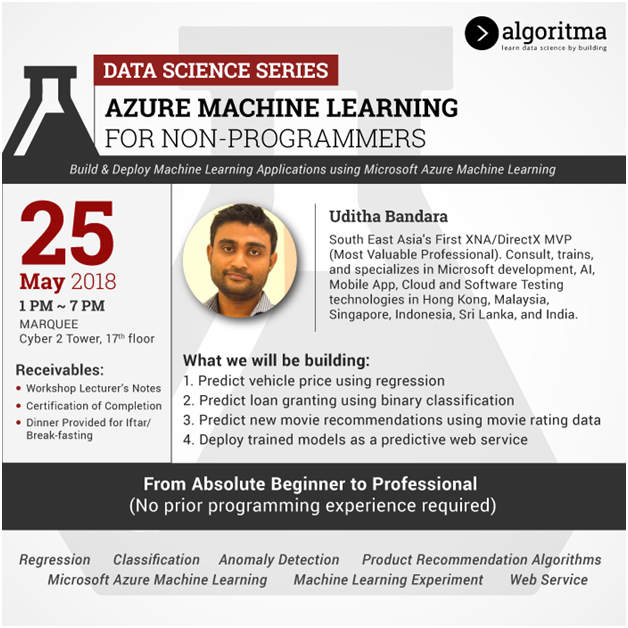 In partnership with Algoritma Indonesia I will be conducting Azure Machine Learning workshop at Jakarta. Deep Learning Basics by NVIDIA Deep Learning Institute. – leverage deep neural networks (DNN) within the deep learning workflow to solve a real-world image classification problem using NVIDIA DIGITS. Oracle Code is a free event for developers to learn about the latest developer technologies, practices, and trends. Learn from technical experts, industry leaders, and other developers in keynotes, sessions, and hands-on labs. Experience cloud development technology in the Code Lounge with workshops and other live, interactive experiences and demos. Blue Chip Training and Consulting.